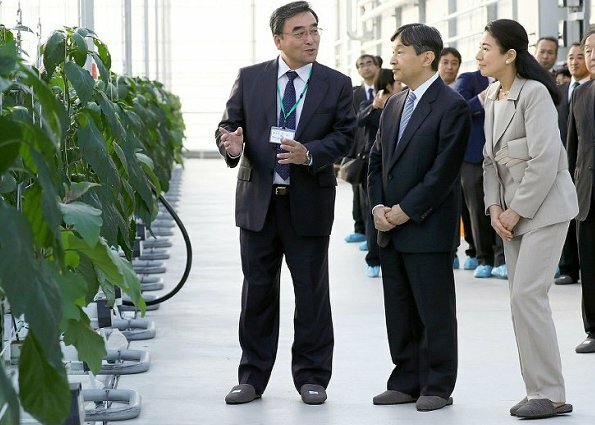 Crown Prince Naruhito of Japan and Crown Princess Masako of Japan visited the Kochi prefecture in order to attend the Summit of Agricultural Laborers. 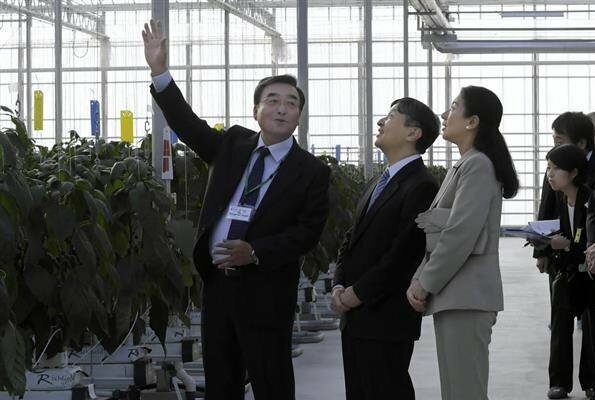 In Nankoku city of the Kochi prefecture, the Crown Couple of Japan visited a fully automatized greenhouse which has been established for the purpose of increasing agricultural productivity and making production without human interference. 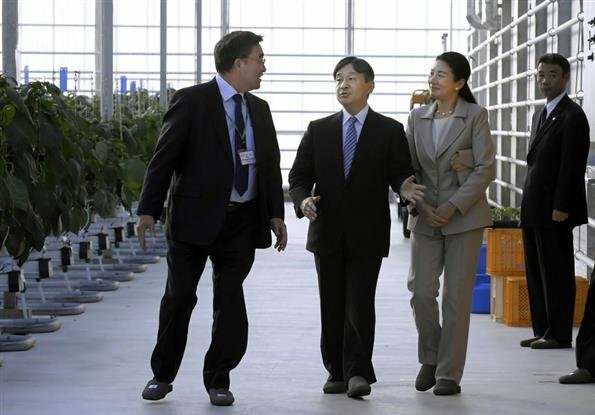 Always glad to see Masako. Hopefully she is coping much better. 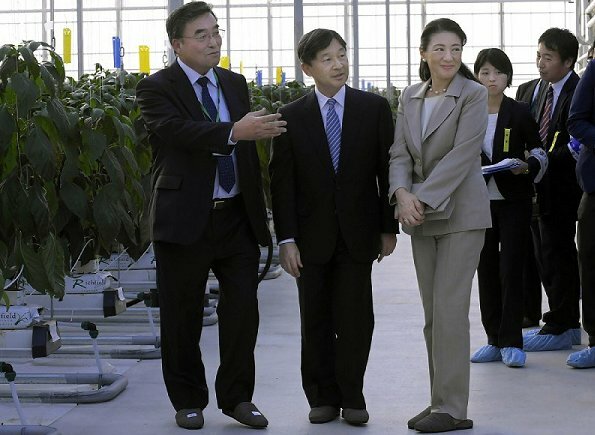 Masako looks very good. A more relaxed look than we would expect, including her hairstyle. She's setting a bit more of her own style. I really like Masako ..... she always looks so polite .. she is a really good young lady but she has suffered so much because of her depression. I really hope everything is going be fine for her !! !